Today it is a pleasure and a joy to welcome the estimable Ginger Myrick to the salon. 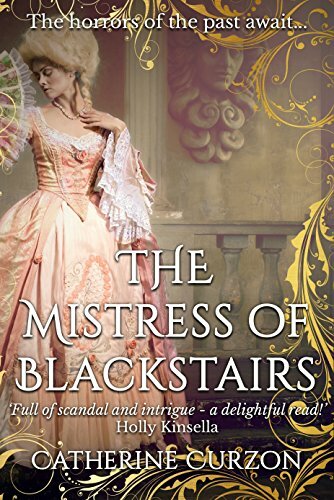 Ginger will be taking us on a trip into the court of Marie Antoinette and also shares an extract from Insatiable, her wonderful new novel. When Marie Antoinette first arrived in France and became Dauphine, every aspect of her routine was dictated by the ever present etiquette. In her early years at Versailles, she was docile and eager to please, knowing that any misstep would be reported to her mother, the Holy Roman Empress, the person she wished to satisfy above all others. 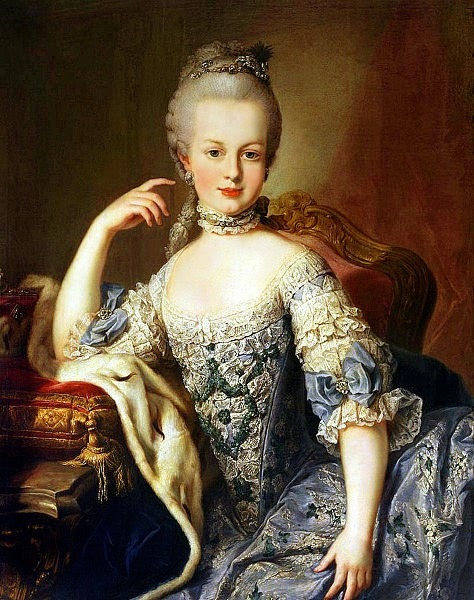 Living her life under such constant scrutiny was a heavy burden to Marie Antoinette, but she was expected to gracefully bear it all, which she did for four long years. The system of court etiquette originally establish by Louis XIV, the Sun King, was inescapable, almost an entity in itself. Although the young Dauphine accepted the necessity of her routine and tolerated it to a certain extent, she was known to register her disdain from time to time. There is a well known incident when she actually voiced her exasperation aloud. This slip took place in her early years when during the course of her lever—the tedious ritual of her morning toilette—she was left waiting naked while a series of higher ranking Ladies entered her bedchamber and were forced to cede the honor of handing the Dauphine her underwear to the next in line. Marie Antoinette was reported to have said, “This is maddening! This is ridiculous!” which was unthinkable. No one in the French hierarchy had ever dared to question the proceedings, which had been in place since the moving of the court from Paris to Versailles in 1682. But when Marie Antoinette became Queen, there was no one to stop her. Louis XV died of smallpox in 1774, and Louis-Auguste and Marie Antoinette became the King and Queen of France while still teenagers. 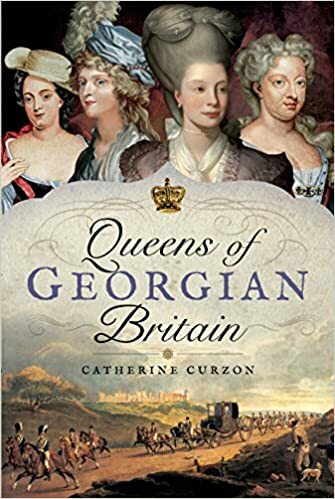 Eager to take charge of her life and establish her authority, one of the first things the new Queen did was get rid of one of the stuffy old ladies at Versailles—whom she secretly referred to as bundles—the Comtesse de Noailles, nicknamed Madame Etiquette. Although this may have seemed a tactless act, the Queen went about the expulsion in a very subtle way. 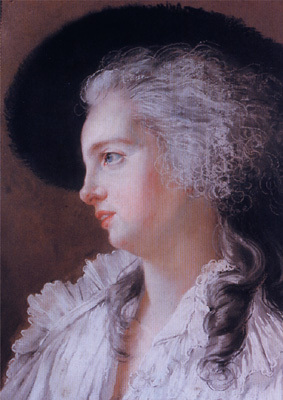 She used her knowledge of etiquette against its enforcer by awarding the superior position of Superintendant of the Household to her friend, the Princesse de Lamballe. This resulted in putting the princess one step above the comtesse’s own position as Mistress of the Household. This was a serious breach in the etiquette the new Queen was endeavoring to buck. 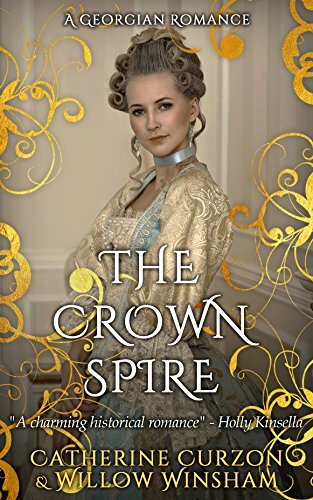 The comtesse was so indignant over being demoted in favor of a person without the pedigree to back it up that she resigned, leaving the new Queen and her friends with no one to reprimand them. Here, another of her partners-in-crime enters the picture and shakes things up a bit more. During a court function around the same time, the Queen was presented with a young attractive couple, the Duc and Duchesse de Polignac. After spending a good deal of the night in rapt conversation with her vibrant new friend, Marie Antoinette decided she could not live happily without her. To ensure that the duchesse—Gabrielle as her new acquaintance urged the Queen to refer to her—remained by her side, Marie Antoinette found the Duc a position at court and installed them at Versailles, all with Louis XVI’s approval. Of course, no one would dare gainsay the King, who could not bring himself to object to so small a thing when it brought such happiness to his wife. But again, the protocol was ignored and certain people were miffed. From there, things only proceeded to get worse. When Marie Antoinette’s husband was crowned Louis XVI in 1775, he gifted her le Petit Trianon, a private chateau on the grounds of Versailles, and Marie Antoinette wasted no time renovating the place and turning it into her personal sanctuary. It was here that she held her late-night card parties and extravagant dinners. For her twenty-first birthday she threw a three-day gambling party that even her stuffy husband attended. Although in her mind there was nothing wrong with these innocent pleasures, it was this blatant enjoying herself away from the eyes of the public that began speculation about the goings-on there. The common people were indignant over not being able to openly observe the actions of their royal family, to whom they had always had access in the past. If the new Queen did not want to be observed, she must be doing something illicit! It was at this point that the libelles took advantage of the brewing drama and began to slander her character. Those who knew her found the allegations laughable and so did the Queen. 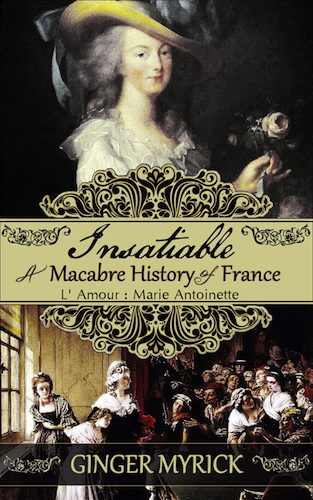 Not knowing how to combat the untruths nor how to remedy the situation, she simply ignored all of it and continued to live her life in the same careless and extravagant manner, which was unwise, especially when the people of France were in dire straits. It was exactly this disparaging of her public image that made it possible for l’Affaire du Collier to be attributed to the acquisitive nature of Madame Deficit, which was the final straw in turning her into the scapegoat for all of France’s troubles. It set the stage for the French Revolution and the eventual execution of both Louis XVI and Marie Antoinette, who represented everything the people were rebelling against and would endeavor to never allow to rise again. Although Fersen’s continued association was something Marie Antoinette desperately desired, it was difficult for them to speak uninhibited at Versailles. Because she finally carried a royal child within her womb, the Queen’s every move was closely watched, and there could be no departure from the formality of etiquette. A few days later, they met again, and when they were left unguarded for a few moments, she casually mentioned her informal card parties at le Petit Trianon. “This card party is turning out to be a more dangerous prospect than I imagined,” Fersen replied, pantomiming the wiping of sweat from his brow. His action elicited a mischievous giggle from the Queen. She quickly brought her hand up to cover her mouth, which did little to disguise her amusement, especially when her big silvery eyes twinkled with delight. Fersen found himself drowning in those eyes and thought that he could stand there and play the fool forever just to hear the sound of her laughter. 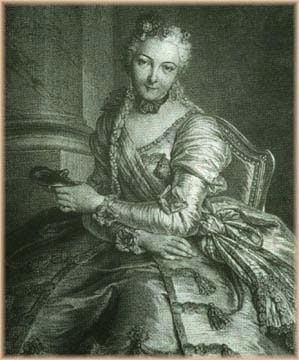 Marie Antoinette lowered her lashes demurely and scanned the immediate area to see who had noticed their silliness. No one seemed to be paying any attention, so the Queen cleared her throat and went on. Fersen arrived on the indicated night, and the guard turned out to be as loyal and well instructed as the Queen had professed. The tall Swede was granted entry and proceeded to the card party intact and unskewered. He was led up the stairs to the first floor where a servant presented him to the hostess and the rest of her guests. 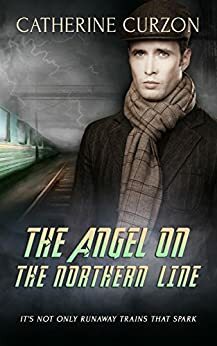 “Count Axel von Fersen,” announced the man then turned and left the room. Axel smiled in her direction, barely registering the words. As soon as he entered the room, the Queen’s ethereal presence enveloped him like a fine luminescent mist, casting a dreamy haze and lending the experience a surreal feel. She was swathed in a loose white dress of a gauzy material that fell in graceful feminine pleats, giving her the appearance of a Greek goddess. He moved forward in a trance, utterly dazzled by her loveliness. “Good evening, my fair Queen,” he managed to get out, bowing low. He did as she bade him, relieved to note that no one had paid a whit of attention to his momentary stupor. They were all busy goading each other, trying to peek at the others’ hands, and generally having a raucous good time. He was dealt his cards and automatically began to organize them in his hand, relaxing a bit now that he was not so absorbed by the Queen’s airy presence. They played for about an hour until the others began to feel the effects of the wine and got restless, wandering off in pursuit of more wine and livelier diversion. The Queen, who had no real palate for drink, remained in her seat, smiling indulgently at her degenerate group of friends. They had each fervently wished for the chance to be alone together, and that moment had finally come. They found themselves face to face with no outside person to distract them. They sat for a few moments in silence, desiring desperately to confess their affection for the other but neither wanting to be the first to begin. Regardless of the relaxed atmosphere pervading her personal retreat, the cursed court etiquette had raised its head again, filling a space between them like a physical entity. Finally, Axel grunted at the irony and offered a polite and meaningless platitude. This post copyright © Ginger Myrick, 2014. 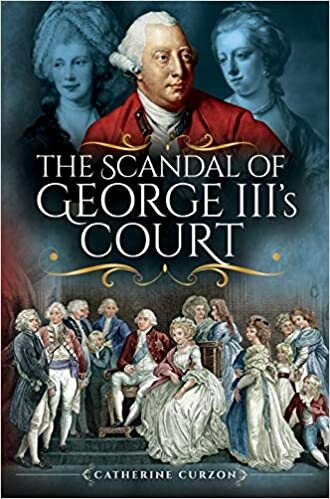 You can find out more about Marie Antoinette's doomed reign in Life in the Georgian Court, now available to order worldwide! Excellent piece, perfectly scheduled as, here in France, 8th May is a fête day. Having visited Versailles and seen le Petit Trianon, referred to by the French as her 'playhouse', it is easy to imagine the hedonistic lifestyle that offered itself to an impressionable young lady. Thank you! The scheduling was entirely by accident but it's a nice coincidence and as you rightly say, "playhouse" is a perfect description! I visited Petit Trianon and Versailles just last month. I think it is interesting that although Antionette dismissed etiquette (who can blame her given some of the more ridiculous examples), she didn't really seem to actually understand what it was for. Louis XIV was a kind of genius in psychology in creating a laborious system of etiquette. 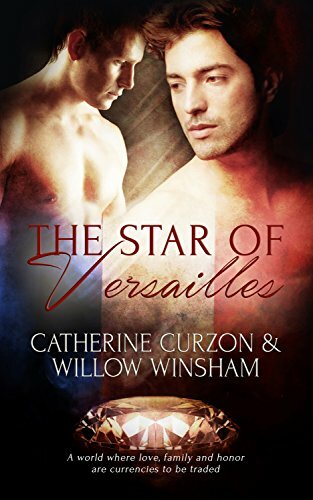 He understood that it wasn't really about putting on a shirt or where a person sat, it was a system of control that created psychological barriers in the heads of the nobles. 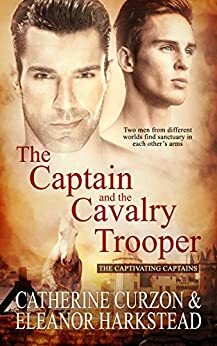 He understood that it was easier to deal with nobles stuck at the palace arguing over where they sat at a table, compared with nobles being out in their provinces, raising armies and causing trouble. I doubt Antoinette was sophisticated enough to understand that. You're absolutely right; etiquette served a very definite purpose at Versailles and across the other European courts. It's a subtle but incredibly useful control mechanism. I doubt Marie Antoientte's youth can have helped her understanding, though of course, she was heavily prepared for her life at Versailles. Colin, in INSATIABLE I briefly touch upon Louis XIV's psychology behind his institution of etiquette, but of course, I give a more sinister inference to it. 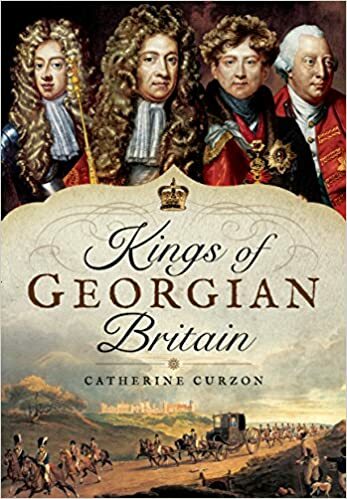 I originally only intended to do a trilogy, but it's looking more and more like I will need to write the fourth book about this exact subject and perhaps a fifth covering Louis XV. Go figure! Again, Madame, I cannot thank you enough for hosting me. You are gracious and supportive and have boosted my confidence in this venture immeasurably. I am humbled. It has been an utter pleasure; you are welcome to return any time you might wish!